A young co-ed is raped by a country music legend in Branson, the “NashVegas” of Missouri. Ignored by the police, she turns to TV newswoman Sandy Collingsworth for help. Sandy’s investigation stirs up a hornet’s nest of corruption and crime, putting her in the mob’s crosshairs …something her boyfriend Wyatt Storme, a freelance troubleshooter, won’t abide. 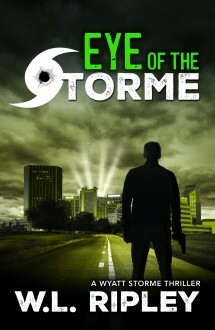 Storme rolls into Branson like a hurricane with his buddy Chick Easton, an unhinged ex-CIA operative, to settle the score with his own brand of justice. Ace Atkns, New York Times bestselling author of "Robert B. Parker's Wonderland." A whirlwind of love, morality, wit, and revenge. Ripley is a powerhouse in the mystery field.